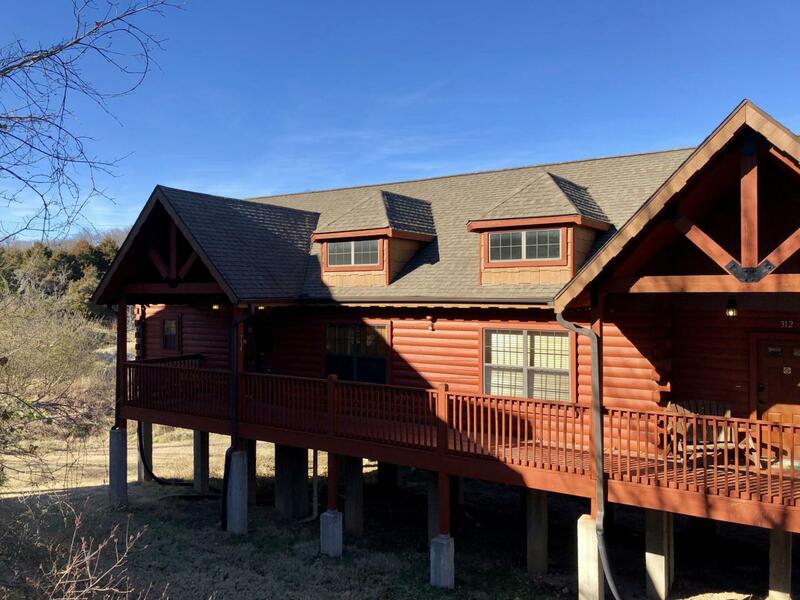 Stay & play in ''Rustic Log Cabin'' with 2/BR/2BA & rustic flair decor that is so inviting w/stone gas fireplace, cathedral ceilings, stained woodwork, ceramic tile & carpet, whirlpool tub & separate shower in master, screened deck overlooking pond w/babbling creek & unit is steps to pool. All log furniture & furnishings included along w/Thousand Hills amenities & info of great rental history averaging a $1,100. a month. Great opportunity & right in heart of Branson so don't miss out.